Are you looking for something flamboyant? 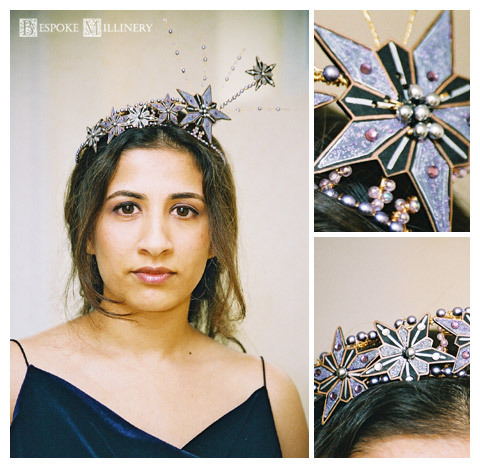 Etoiles is a luxurious creation made up of a collection of stars offset with clear and pale amethyst Swarovski crystals and silver pearls. This style is perfect for a wedding or a special evening out.